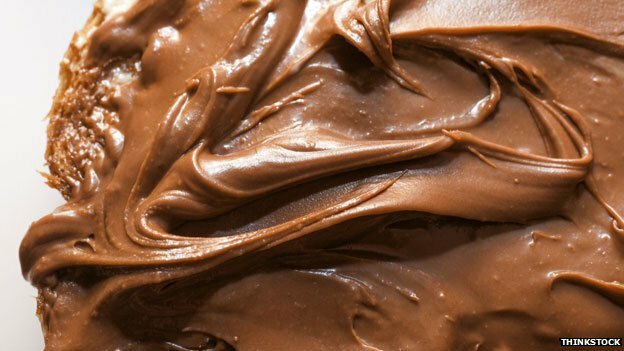 Nutella, the nutty chocolate spread, is turning 50. Last year some 365 million kilos was consumed – roughly the weight of the Empire State Building – in 160 countries around the world. Half a century ago, in a small town in northern Italy, this would have been unimaginable. In the hungry months after the end of World War Two, a young confectioner has a vision – of an affordable luxury made of a small amount of cocoa and lots of hazelnuts. His name: Pietro Ferrero. The way the family tells the story, it’s a modern fairytale. Pietro was a humble man who lived in an enchanting region famed throughout the land for its delicious and abundant hazelnuts. Times were hard and chocolatey delights were not for the common people. Still, he dreamed of a magic formula that would enable everyone to enjoy his sweet treats. There’s a happy ending, too. Ferrero’s tiny business in the picturesque town of Alba goes on to become the fourth most important international group in the chocolate confectionery market, with an annual turnover of more than 8bn euros (£6.5bn; $11bn). When Pietro had his vision, the Piedmont region of Italy, and its capital Turin, was already famed for its chocolate industry. 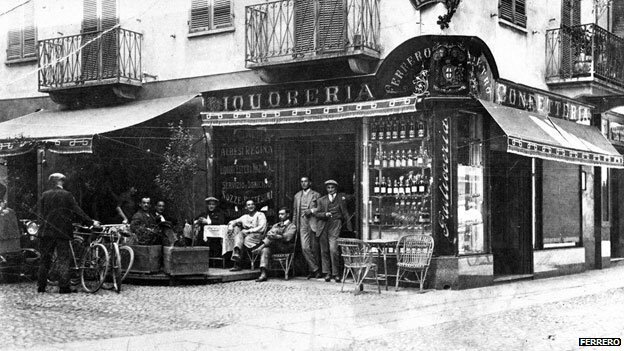 It was the birthplace of Gianduja, a creamy combination of chocolate and hazelnuts. But only the rich could think of buying it. “Chocolate was so expensive, it was really high-end, nobody could afford it, at least in Italy,” says Giovanni Ferrero. But in 1946 his grandfather launched Giandujot, or Pasta Gianduja. Produced as loaves wrapped in aluminium foil, it was a sort of solidified Nutella that had to be cut with a knife. 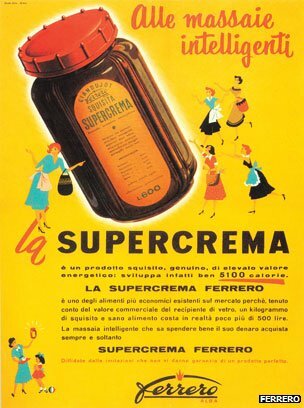 The first spreadable version – Supercrema – came a few years later. Spreadability meant that a small amount went a long way, helping to break down the perception that chocolate was, as Giovanni puts it, “only for very special occasions and celebrations like Christmas and Easter”. It could also be eaten with bread, which formed a big part of the diet at the time. People who never ate chocolate got the Supercrema habit. 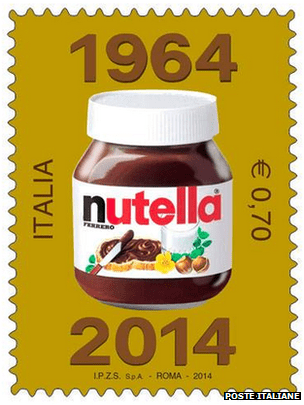 But it was Pietro’s son, Michele Ferrero, who turned it into Nutella, relaunching it with its now famously secret recipe and iconic glass jar. His father was a man obsessed, says Giovanni, just like his grandfather. “My father said, ‘We can push it further, there are new technologies, there are new ways to integrate this winning recipe,'” he says. The name gave the product instant international appeal. It said nuts. It also said Italy – “-ella” being a common affectionate or diminutive ending in Italian, as in mozzarella (cheese), tagliatella (a form of pasta), or caramella (Italian for a sweet). Fifty years on, Nutella is a global phenomenon, produced in 11 factories worldwide, and accounting for one fifth of the Ferrero Group’s turnover, along with other products such as Kinder and Ferrero Rocher chocolates. The company is the number one user of hazelnuts in the world, buying up 25% of the entire world production. But how did one brand of hazelnut chocolate spread manage to creep its way into so many kitchen cupboards for a full five decades? Andrea Barina, the owner of a no-frills restaurant on the Giudecca canal, serves up mouth-watering plates of seafood antipasti and exquisitely fresh fish to a loyal clientele. But one night earlier this month, the genial 50-year-old was confronted with an idea that was profoundly indigestible: the potential transformation of his beloved teenage playground into yet another luxury resort in the Venetian Lagoon. 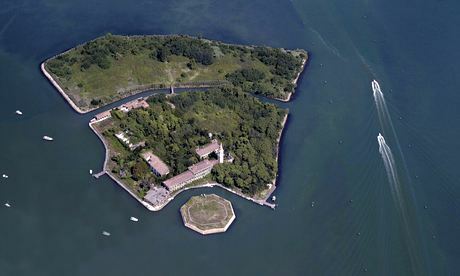 Barina and many of his neighbours were indignant when they heard of the Italian state’s intention to auction a 99-year lease on Poveglia island as part of efforts to ease its huge public debt. 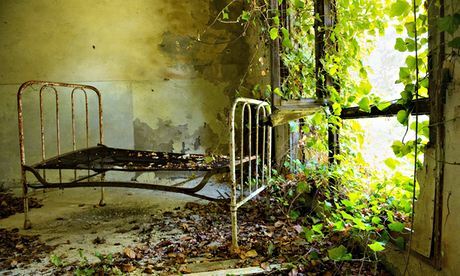 Overgrown and deserted, Poveglia is an unlikely paradise. It does not feature in many tourist guides, and its eerie state of abandonment has fed many a ghoulish fantasy. But, to a committed band of local people, none of that matters; its name alone evokes the simple pleasures of childhoods past. And when Barina, amid heated debate at his restaurant, had an idea, they were inspired. “He said, ‘Let’s buy it,” recalls Lorenzo Pesola, an architect. So that’s exactly what they are trying to do – €99 (£80) at a time. It may seem an ambitious plan – and, to those who have read about Poveglia beneath any number of lurid headlines, downright odd. Owing to the potent mix of its colourful past and gloomy present – it has been officially off-limits to the public for decades – the seven hectare (17 acre) island has attracted a reputation to rival any horror movie set. 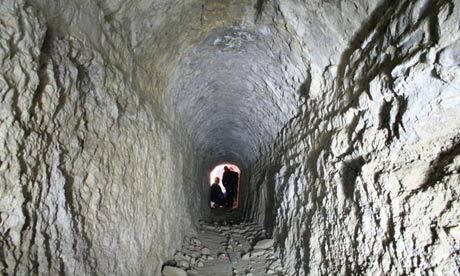 A US television show, Ghost Adventures, labelled it “one of the world’s darkest epicentres” after a 2009 episode in which one of its hosts claimed to have been possessed while clambering about at night in the ruins and hailing the spirits in bad Italian. Subsequently, Poveglia has been described as “the world’s most haunted island”, “the island of madness”, and, for good measure, “like hell, but in Italy”. Yes, say the activists who want the lease, Poveglia was used in the past as a lazzaretto – a quarantine station for the sick, particularly plague victims – but so were other islands. And yes, there was a nursing home, which still stands, dilapidatedand partially roofless, amid the undergrowth. But that, they insist, is that. There is “no objective confirmation” of any of the rumours and legends surrounding the building, says Pesola: chiefly, that it was used as a place to conduct experimental lobotomies on psychiatric patients and that its land is stalked by the spectres of victims past. They don’t want potential donors to be put off by folklore. And for them, the island’s more recent history is what counts. In 21st-century Venice, no reference to the Californian theme park is accidental; the citizens’ battle for Poveglia makes more sense when considered alongside the city’s wider identity crisis and the ever-tightening grip of mass tourism. These residents despair of what has happened to parts of the historic centre, the areas around St Mark’s Square and the Rialto bridge, which have become a morass of tour groups and souvenir shops. Even on their way to Poveglia, they cannot ignore the industry’s impact: the journey takes them past two other lagoon islands, Sacca Sessola and San Clemente, which have been bought by private investors for us as luxury hotel resorts. It is already known as the eternal city, and if new archeological findings prove correct Rome may turn out to be even more so than believed until now. Next week, the city will celebrate its official, 2,767th birthday. According to a tradition going back to classic times, the brothers Romulus and Remus founded the city on 21 April in the year 753BC. But on Sunday it was reported that evidence of infrastructure building had been found, dating from more than 100 years earlier. 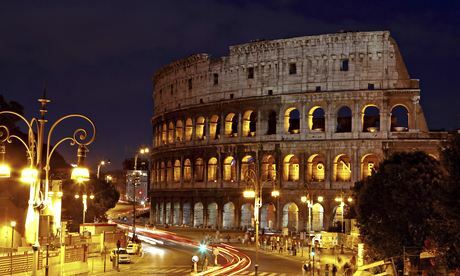 The daily Il Messagero quoted Patrizia Fortini, the archaeologist responsible for the Forum, as saying that a wall constructed well before the city’s traditional founding date had been unearthed. “The examination of the ceramic material was crucial, allowing us today to fix the wall chronologically between the 9th century and the beginning of the 8th century,” said Fortini. It was already known that the settlement of Rome was a gradual process and that the traditional date for its foundation was invented by a later writer. There is evidence of people arriving on the Palatine hill as early as the 10th century BC. The find would appear to show that construction in stone began earlier than previously established. The discovery was made close to the Lapis Niger (‘Black Stone’ in Latin): a shrine that later Romans associated with their city’s earliest days. The site includes a stone block that carries the earliest inscription found in Rome. Written in the 5th century BC, its meaning is not fully clear, but it is thought to place a curse on anyone who violates the site. 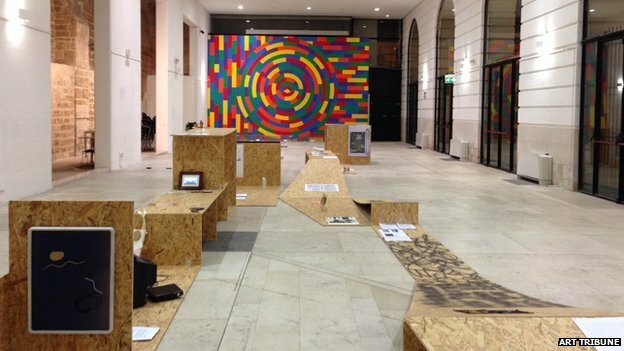 Works made out of newspaper and cardboard, and cookie pieces scattered across the floor as part of Sala Murat’s display were thrown out. Lorenzo Roca, from cleaning firm Chiarissima, said the unnamed cleaner was “just doing her job”. Italian archaeologists say they have found the long-lost underground grotto where ancient Romans believed a female wolf suckled the city’s twin founders. 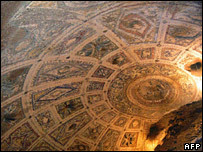 The cave believed to be the Lupercal was found near the ruins of Emperor Augustus’ palace on the Palatine hill. According to mythology Romulus and Remus were nursed by a she-wolf after being left on the River Tiber’s banks. 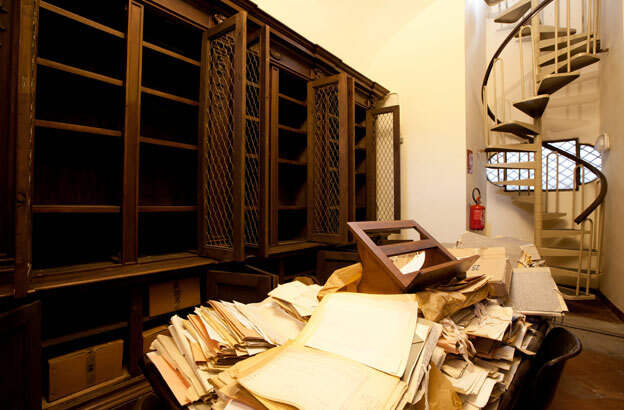 Book-lovers around the world have been helping investigators trace thousands of rare volumes looted from one of Italy’s oldest libraries by a gang of thieves including the librarian himself. While most have been recovered, a number of invaluable 15th and 16th Century books are still missing. 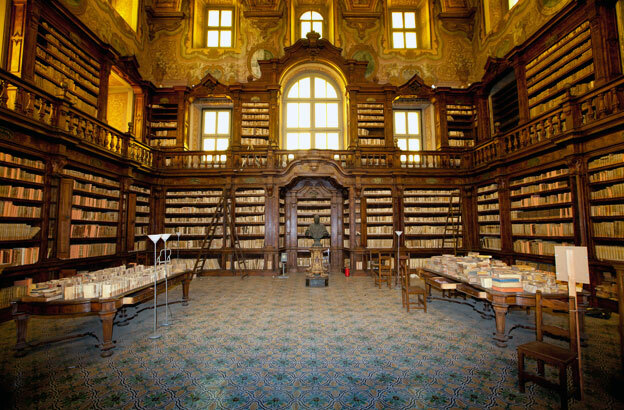 Inside a 16th Century church complex in the heart of Naples, the Biblioteca Girolamini’s wooden shelves rise up and up towards richly decorated walls and vaulted ceilings. They once held works of extraordinary value. There was a 1518 edition of Thomas More’s brilliant and mysterious Utopia. Galileo’s 1610 treatise Sidereus Nuncius, containing more than 70 drawings of the moon and the stars. And Johannes Kepler’s study of the motions of Mars, Astronomia Nova, described as one of greatest books in the history of astronomy. But this magnificent piece of Italy’s cultural heritage was methodically plundered. 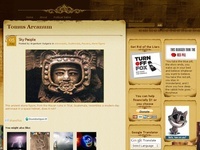 Thousands of antique texts disappeared. It was an art historian and academic, Professor Tomaso Montanari, who first alerted the police to what was happening. The library had been closed to the public for years, but Montanari heard reports that it was in trouble, and managed to make a visit with a student he was supervising in the spring of 2012. He was shocked by what he found. Amateur cavers have mapped a vast network of tunnels underneath Hadrian‘s Villa outside Rome, leading archaeologists to radically revise their views of one of ancient Rome’s most imposing imperial retreats. Lowering themselves through light shafts found in fields around the 120-hectare (296-acre) site, local speleologists have charted more than a mile of road tunnels – passages where, in the second century, oxen pulled carts loaded with luxury foods for banquets and thousands of slaves scurried from palace to palace, well out of sight of the emperor. “These tunnels lead us to understand that Hadrian’s Villa was organised less like a villa and more like a city,” said Benedetta Adembri, the director of the site, who is planning, in the autumn, to open stretches of the tunnels to the public for the first time. Never an emperor to do things by half – his idea of homeland security was to build a wall across the top of England – Hadrian built his country hideaway near modern-day Tivoli to escape the noise and crowds of Rome, but managed to take half the city with him. Archaeologists have identified 30 buildings, including palaces, thermal baths, a theatre and libraries, as well as gardens and dozens of fountains. “We think the villa covered up to 250 hectares but we still don’t know the limits,” said Abembri. Abandoned after the fall of the Roman empire, the villa was taken apart piece by piece over the centuries, with one local cardinal stripping off marble to build his own villa nearby in the 16th century, leaving weed infested ruins.